The Star7-2 class canal boats. 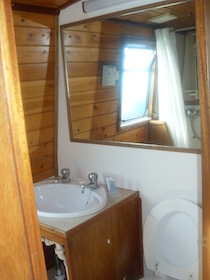 Bathroom with basin, shower and flush toilet. 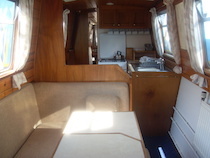 Pressurised Hot and Cold water to Galley, Shower, Basin & Toilet, electric pump out shower. 240V x 2 Pin shaver point (for shaver only) .Electric macerator toilet.